On weekends, Sir and I like very much to cook breakfast. We get so geeked out about cooking, I think one of these days we just might film a little demonstration. Get excited! But Dumbo is full of good noms, so sometimes we like to patronize the local businesses instead - a little brunch in the 'hood. We've gone to Bubby's Brooklyn a few times - super delicious, and they use a lot of local ingredients, which is cool. However, it's often crowded and chock-full of screaming children. I'm always a little startled when I see children in NYC, my little adult playground. Where do they come from? Why are they here? What are they always screaming about? How did they hear about Bubby's? No matter, we headed out, hoping for a pre-spin protein binge and a baby-free brunch adventure. Sir, being all Gossip Girl in front of the Manhattan Bridge. Bubby's! Cash only. What is that about, by the way? So many cash-only places in BK. For whatever reason, the joint was almost totally empty and mostly free of small children. Perfect setting for a relaxing Saturday brunch. 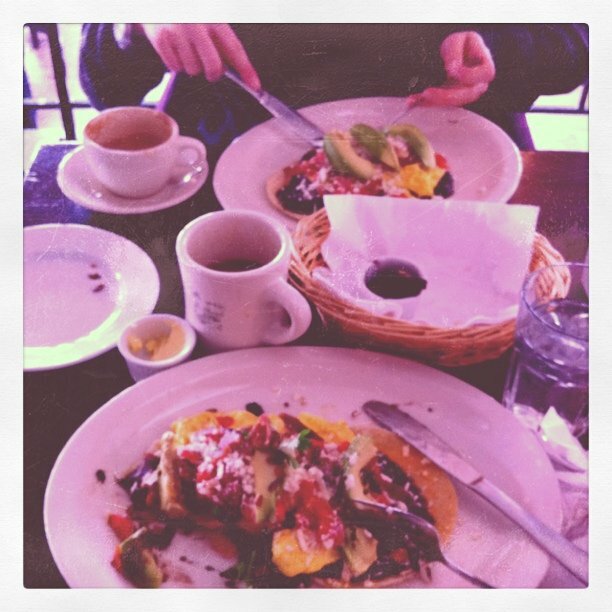 Huevos rancheros, at the waiter's suggestion, were divine and perfect as a balanced and healthy protein-filled nosh. Hand-made corn tortillas and black beans as a base for creamy scrambled eggs, queso cotija and salsa. Topped with avocado slices and fresh cilantro for a bite of brightness. Like breakfast Chipotle, only better. Pretty easy to make at home, I'm thinking. And bonus! gluten-free. Sir took a photo; I was too busy chowing down and forgot entirely. I'm putting huevos rancheros on my cooking teux-deux list. Mmmm. Brunch in Brooklyn, what could be better? Get the huevos rancheros; leave the babies. "I'm always a little startled when I see children in NYC, my little adult playground. Where do they come from? Why are they here? What are they always screaming about? How did they hear about Bubby's?" Haha it was supposed to be a Godfather reference. Leave the gun, take the cannoli. Joke fail. Yum yum!! I wish I could do the savory thing for breakfast. Haha totally! And I think since you so rarely see kids in NYC, it's especially concerning when you do see and hear them. Like a weird, loud reality check. 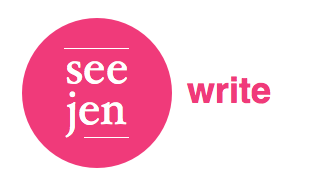 Also, start a blog ASAP!! You should be showing off your crafting projects. The stroller implements a revealed wattpad.com/ springtime shock absorber that will successfully Website shield your kid versus constant jumping Best Double Jogging Stroller of 2017 - Top Stroller Reviews because of rough roads. January results and a Sunday-night feast.